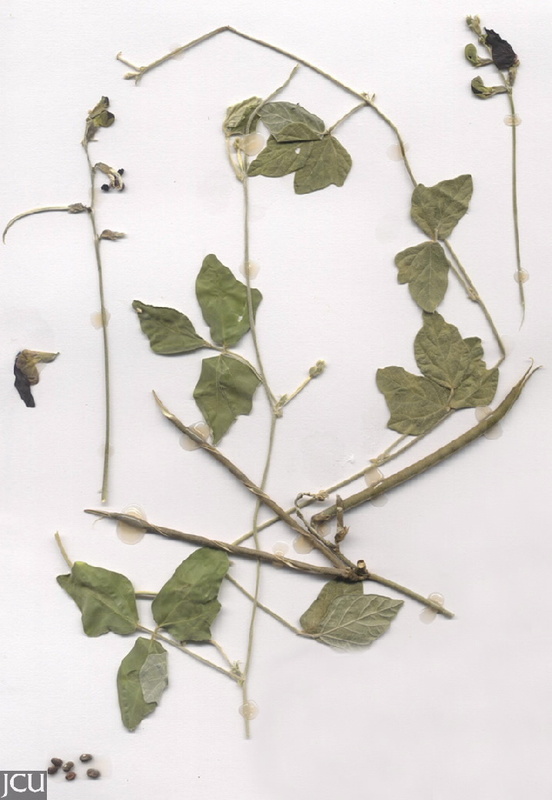 Leaves with 3 leaflets, lateral leaflets strongly lobed towards the base, lower surfaces covered in hairs. 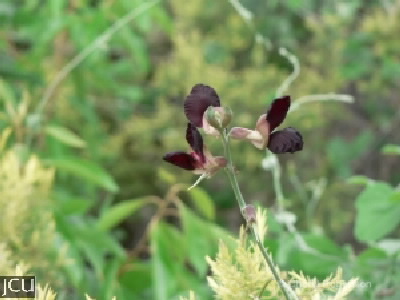 Flowers pea-shaped, corolla purplish to purplish-black, keel twisted. Pod 5-10 cm long.